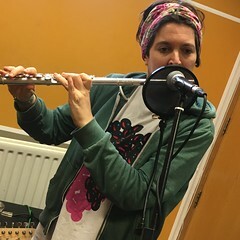 Today’s Hello GoodBye Show on Resonance FM featured live music from: AK/DK, Lianne Hall and Patrick Wray, plus spoken word with Gerry Mitchell. This entry was posted in dexter bentley, hello goodbye show, Hello GoodBye: Playlists, resonance fm and tagged AK/DK, dexter bentley, gerry mitchell, hello goodbye, hello goodbye show, lianne hall, london, patrick wray, radio, resonance fm. Bookmark the permalink.